I have written about the Google Drive app before, but the latest update really helps us with a major problem we have been having with Keynote presentations in particular but will also work for movies and other large files that exceed the 10 MB email message limit. Many Keynote Presentations are larger then 10 MB due to the theme used, size of images or sheer length of the presentation. Up until this Google Drive update, students often had to email each as an image to their teacher which sort of defeats the whole idea of a presentation. There are times when simply sharing a PDF will work while other times a true Keynote file is needed as the teacher wants to evaluate it as a presentation or the students will be presenting it to the whole class from the teachers computer. Of course, the iPads can display the Keynote as well. This tutorial will show you how to use the Google Drive app to upload and share non-google formatted files. If you want to learn more about how to use the Google Drive app, check out this post where I discuss that and other apps. Update: I wanted to include this link to a Miguel Guhlin’s great post One Drive to Rule Them All as it has solid screen shots and good directions as well. Tip of the hat to Miguel. 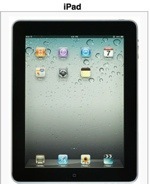 Our school provided all students in grades 5 through 8 with a iPad in August of this year. 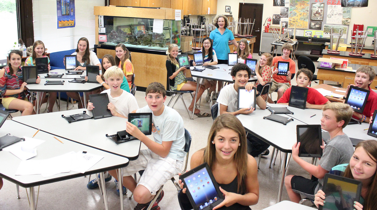 Teachers received iPads in April to get ready for a year of discovery and learning together. This was not much time to pull our learning community resources together, but all in all, we are in good shape for the journey we are on this year. 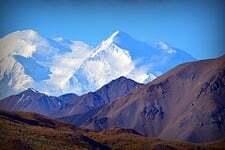 I am looking forward to the journey ahead of us this year as I like what I am seeing happen with our school. As the school moved to adopt the iPad, I began to create resources for our teachers, students, and parents. The Mobile Learning Website gave teachers access to resources for finding apps, restructuring their classrooms, forums for discussing concerns and offering suggestions. In addition to this resource, I created a iPad Passport site that was modeled after Montclair Kimberly Academy’s 1:1 Drivers Manual as I thought it was critical that our school start the year with a common language and community norms. I used our school’s Acceptable Use Policy which we revised based on The Nueva School’s Acceptable Use Policy as a guide as I found the approach to be very user friendly and setting a tone of community important as we gave each student an iPad. I used the book, From Fear to Facebook written by then Middle School Director Matt Levinson at Nueva School to help guide the community norms on when and how to use the iPad efficiently and ethically. I incorporated some of Common Sense Media’s curriculum movies and lessons into the iPad Passport to help guide our students on Digital Citizenship. I also helped to build a portal for parents to get information and questions answered. Unfortunately, the Mobile LEarning Website and the iPad Passport are private so I am not able to show them to you. All of the movies from the iPad Passport are on the portal for parents resource page. The first two days of school had a special schedule that allowed for work by the entire campus on the iPad Passport together. It was sort of surreal to walk into classrooms and see along with hearing myself teaching the entire school. I think our plan has really worked as we have had a pretty smooth first couple of months given the drastic change a device like the iPad brings to a school. We still have kinks to work out and come up with a better solution for what students do with their iPads during our community meetings, but we heading in the right direction. We did determine a certian number of apps that we felt all students needed to have with Evernote Premium Sponsored Accounts being the main work horse for both teachers and students. 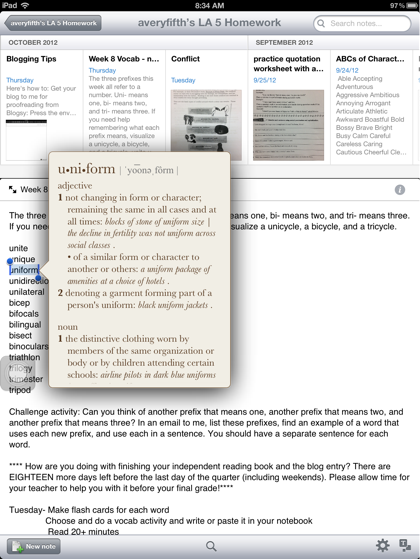 Goodreader was also an app that we knew we would need to deal with PDFs and annotations. Since we also use VoiceThread, Mindmeister, BrainPOP, and Google Apps for Education we made sure these apps were on all iPads. Each grade level added apps that they wanted to include as well. I have been kept pretty busy each day helping to teach in classrooms, troubleshoot a network issue here and there or just work on creating a workflow for projects we want to do with the students. I am using my sixth grade technology class to experiment with using both iPads and iMacs. What I love most is how students have stepped into the learning and teaching roles and how teachers have been able to adjust from what was the previous norm. Today, I was helping a student with an Evernote sync issue and did an impromptu lesson on forgetting a network. As I was leaving the room, the teacher went back to her overhead projector which was projecting the vocabulary words for the week. Students already had the words as she had shared them in a shared Evernote notebook. What I noticed and could not have predicted we would use Evernote for is in the image below. Students had figured out and the teacher had given the green light to using the built in dictionary in Evernote. 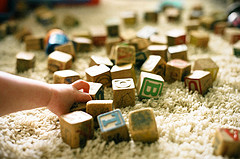 Connecting and learning together is much like learning how to stack blocks. For parents who could not make it to Parents Night this is the presentation I showed. Everything old is new again as the entire campus have iPads. I have been very pleased with how the rollout has gone. The iPad Passport proved to be very successful. I think for the 5th grade we will start with the Edublogs app before trying Blogsy. After using this app for writing this post I am confident I will be able to teach the fifth graders next week. 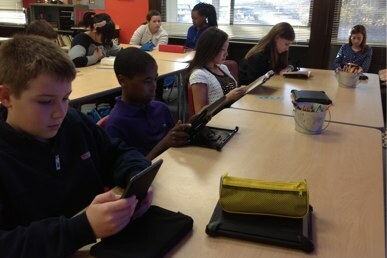 In time we will move to Blogsy after we have learned how to add images, citations, and text with the Edublog’s app.